The Shani would be transiting into Dhanusu Rasi, which happens to be the 11th house for the Kumbha Rasi (Aquarius Sign) natives. The Shani itself owns the Kumbha Rasi, thus it hold the title of “Rasi Lord” (or) “Sign Lord” for the Kumbha Rasi (Aquarius Sign) natives. That is, the Shani becomes the 1st house lord (Rasi Lord); and the Shani also owns the Makara Rasi, which happens to be the 12th house for the Kumbha Rasi (Aquarius Sign) natives. Thus the Shani holds the dual ownership of both the Rasi (1st house) and the 12th house lord. The 1st house (Jenma Rasi) is considered as highly benefic and the 12th house is considered as the malefic. Thus the Shani by owning the Kumbha Rasi (Jenma Rasi) needs to be the savior of the Kumbha Rasi (Aquarius Sign) natives. By owning the Makara Rasi, the Shani also possess the responsibilities of delivering the malefic qualities of the 12th house. Thus the Shani plays a dual role for the Kumbha Rasi (Aquarius Sign) natives, as both the “Savior” and also the role of “Tormentor”. The Shani would deliver moderately comfortable results, if it is placed in a benefic place; and do more damages, if it is placed in the malefic place. Let us see, the position of Shani for the next 2½ years. The Shani would be placed in the Dhanusu Rasi (Sagittarius Sign) for the next 2½ years, which happens to be the 11th house for the Kumbha Rasi (Aquarius Sign) natives. The 11th house is considered as “neither malefic nor benefic” for the Kumbha Rasi (Aquarius Sign) natives. The Dhanusu Rasi, is owned by the Guru; both the Guru and Shani would treat each other as equals @ neither would maintain friendly nor would remain as an adversary. Thus the Shani would be positioned in a place, which is neither comfortable nor uncomfortable for the next 2½ years for the Kumbha Rasi (Aquarius Sign) natives. Thus the Shani would be expected to remain in a neutral place during its transit into Dhanusu Rasi (Sagittarius Sign) for the Kumbha Rasi (Aquarius Sign) natives. Thus the Kumbha Rasi (Aquarius Sign) natives can expect major relief during the current transit of Shani into Dhanusu Rasi (Sagittarius Sign). The Shani transits into Dhanusu Rasi on 26.01.2017 at 07.48 PM (Chennai as the Place) as per the Thirukkanitha Panchangam. The Shani would be transiting into Dhanusu Rasi (Sagittarius sign) from 26.01.2017; and becomes retrograde on 06.04.2017. The Shani would again re-enter the Viruchika Rasi (Scorpio sign) on 20.06.2017 and stays there up to 26.10.2017. The Shani would end its retrograde motion on 25.08.2017, while its transits into the Viruchika Rasi (Scorpio sign). The Shani would again leave the Viruchika Rasi (Scorpio sign) and re-enter the Dhanusu Rasi (Sagittarius sign) on 26.10.2017. During the year 2018, the Shani becomes retrograde from 18.04.2018 to 06.09.2018; and again during the year 2019, the Shani becomes retrograde from 30.04.2019 to 18.09.2019. Then the Shani would exit the Dhanusu Rasi (Sagittarius sign) and enter into Makara Rasi (Capricorn sign) on 24.01.2020. Thus the Shani will be transiting into Dhanusu Rasi (Sagittarius sign) from 26.01.2017 to 20.06.2017; and also from 26.10.2017 to 24.01.2020. Let us find out the probable results on Kumbha Rasi (Aquarius Sign) natives during the next 2½ years, when the Shani transits through the Dhanusu Rasi (Sagittarius Sign). The Kumbha Rasi (Aquarius Sign) natives would develop profit motives on all aspects of their life. The Kumbha Rasi (Aquarius Sign) natives would spend more money and time to increase their income and profits. The Kumbha Rasi (Aquarius Sign) natives would possess minimal ability to control their expenses; and their expenses are likely to absorb most of their incomes. The Kumbha Rasi (Aquarius Sign) natives would possess moderate financial ability to meet their expenditure needs and budgetary requirements. The Kumbha Rasi (Aquarius Sign) natives would remain moderately satisfied with their sexual activities. The Kumbha Rasi (Aquarius Sign) natives would be able to manage their basic life necessities with ease. The Kumbha Rasi (Aquarius Sign) natives would be able to take quicker decisions; and remain highly interactive. The Kumbha Rasi (Aquarius Sign) natives would spend more money and time to boost their expenses. For example: The Drivers (of any vehicles) would awake continuously while they are on the duty; and sleep for longer hours while they are in off-duty. The Kumbha Rasi (Aquarius Sign) natives would get ample chances to get involved in sexual relationships. The Kumbha Rasi (Aquarius Sign) natives would face increased level of expenses. The Kumbha Rasi (Aquarius Sign) natives would develop both progressive and regressive ideas at the same time; and also on similar issues. The Kumbha Rasi (Aquarius Sign) natives would remain mentally active and physically active; and also remains highly sensitive. The Kumbha Rasi (Aquarius Sign) natives would dither and vacillate while taking decisions; and take more time by pondering on all issues. The Kumbha Rasi (Aquarius Sign) natives would spend less @ either they will have less money to spend (or) remain hesitant in spending (or) will not get right opportunities for making valid spending. The Kumbha Rasi (Aquarius Sign) natives would remain in a depressive tendency (or) could face headache (or) remain in an inebriated condition. The Kumbha Rasi (Aquarius Sign) natives would face disappointing involvement in sexual relationships. The Kumbha Rasi (Aquarius Sign) natives would face less sleep and also feel sleepy during their physical activities. Example: A normal person feeling sleepy (or) drowsy during the working hours; but failing to sleep well during the rest hours. The Kumbha Rasi (Aquarius Sign) natives would remain passive and remain less communicative (or) less interactive; and would remain lazy (or) lethargic in their attitudes. The Kumbha Rasi (Aquarius Sign) natives would like to earn more money (or) profits; but wants to avoid spending (or) limit spending. Note to Readers: If you want to calculate the Shani’s Ashtakavarga strength, please visit the link in my link: HOW TO CALCULATE STRENGTH OFSHANI IN THE ASHTAVARGHA? The Kumbha Rasi (Aquarius Sign) natives would face would develop vengeful attitudes; and face confusions while taking decisions (or) take erratic decisions. The Kumbha Rasi (Aquarius Sign) natives would face difficulty in controlling their expenses. The Kumbha Rasi (Aquarius Sign) natives would face irregularity in their basic lifestyle like dietary and also on the issue of taking rest. The Kumbha Rasi (Aquarius Sign) natives would face irregularity in their sexual activities (or) involve in an untimely manner. The Kumbha Rasi (Aquarius Sign) natives would face increased level of depression (or) increased level of headache (or) increased level of inebriated conditions (this is applicable, only if the native already has these problems in a persistent manner). The Kumbha Rasi (Aquarius Sign) natives would take more time to ponder on important issues by developing regressive mindset on progressive ideas (or) could potentially remain progressive on regressive ideas. The Kumbha Rasi (Aquarius Sign) natives would focus their mind on developing key skills and talents in their life; and spend money and time on developing their skills. The Kumbha Rasi (Aquarius Sign) natives would focus their mind on their children; and spend on them too. The Kumbha Rasi (Aquarius Sign) natives would try to improve their earnings through speculative actions. The Kumbha Rasi (Aquarius Sign) natives would create losses (or) damages (or) make unproductive expenses (or) waste their time through their unwise decisions. The Kumbha Rasi (Aquarius Sign) natives would face difficulty in expressing themselves, communicating, understanding and taking quicker decisions. The Kumbha Rasi (Aquarius Sign) natives would face difficulty in managing their basic life necessities like proper/timely diet and rest. The Kumbha Rasi (Aquarius Sign) natives would face obstacles in getting involved in sexual relationships due to various reasons. The Kumbha Rasi (Aquarius Sign) natives would put water tight control over their expenses. How to read the Shani Peyarchi (Shani transit) results? 1. You must understand that everyone's Mahadasa will have more impact in their life @ if a person goes through an excellent Mahadasa period, his/her life would remain very comfortable, despite the unfavourable results mentioned under the Guru and/or Shani transits. The results derived from the Mahadasa period will have 50% impact on your life either in the positive or in the negative direction. 2. The next important factor is everyone's Antardasa period; it will have an impact on the native’s life next only to the Mahadasa results @ the Mahadasa period will have 50% impact in our life and the Antardasa period will have an 30% impact on our life. 4. Then you must also take it into account of the results under the transits of all 7 planets (Sun, Moon, Mars, Mercury, Guru, Venus and Shani). Here the Shani transits a single zodiac sign for 2 1/2 years, Guru (1 year), Sun, Mercury and Venus (1 month), Mars (1 1/2 months) and Moon (2¼ days). Hence the transit results of Shani and Guru will have a more impact in our life, because of their longer durations. But the transit results of Mars, Mercury, Venus, Sun and Moon are also very vital in calculating the nature of lifestyle that we can expect for the future. Thus the transit results of all the 7 planets will also have a 20% impact on our life on collective basis. For example: If your Moon sign is Kumbha Rasi (Aquarius sign) and your Sun sign is Mesha Rasi (Aries sign), then you must look at the transit results both under the Kumbha Rasi and also under the Mesha Rasi. You would definitely experience the impact of the results that are mentioned both under the Kumbha Rasi and the Mesha Rasi. How to do the Pariharam for Shani to reduce the ill effects of Shani? For details on Pariharam for Shani, please visit Shani Pariharam (Remedial Measures). There are number of simple methods are advised. You can choose anyone or combination of any methods (that are available). But the period of Pariharam must be longer than 9 weeks and must be done in a consistent manner to enjoy better results. HOW TO CALCULATE STRENGTH OFSHANI IN THE ASHTAVARGHA? The Readers must note that the Kumbha Rasi is itself owned by the Shani. Hence the Shani becomes their Rasi Lord itself. The 10th house is neither considered as malefic and not considered as highly benefice. Hence the placement of Shani in the 10th house for the next 2 1/2 years can be considered as comfortable. Let us see the probable results emnating from the transit of Shani into the Viruchika Rasi for the next 2 1/2 years. Among all the 9 planets, the Shani moves very slowly taking nearly 2 ½ Years to cross a single Zodiac sign. If the position of the Shani is favourable and gets stronger strength, then the 2 ½ year’s period remain comfortable. But on the other hand, if the Sani remains in a malefic house and gets poor strength, then it will make the natives's life treacherous for the entire 2 ½ Years period. That is, the longer transit period of the Shani is the main reason that the people look upon the Shani with greater fear. The Shani could test the patience of the natives by almost bringing the life to a standstill, if it remains weak and placed in the troubled position. Thus the Sani can either make or break the life of all the natives. On 2nd November 2014, the Shani moves from the Thula Rasi (Libra sign) into the Viruchika Rasi (Scorpio sign) at 08.34 PM (IST – Location: Chennai). This calaculations are based on Thirukkanitha Panchangam. (As per the old traditional Vakkiya Panchangam, the Shani transit happens only on December 16, 2014). The Shani will stay in the Viruchika Rasi (Scorpio sign) for the next 2 ½ Years. By staying in the Viruchika Rasi, the Shani stays in the 10th house for the Kumbha Rasi (Aquarius sign) natives. Let us analyze these issues in a more comprehensive manner. The Viruchika Rasi is owned by the Mars. The Mars and Shani treat each other as fierce opponent. Thus the Sani would remain uncomfortable by staying in its enemy (Mars) house for nearly 2 ½ Years. The Sani will also have an eclipse period starting from 03.11.2014 and ending on 05.12.2014. The Sani also becomes retrograde from 14.03.2015 to 02.08.2015. The Sani will deliver different set of results during its retrograde movement period and also during its eclipse period. The Shani owns the 1st and 12th house for the Kumbha Rasi (Aquarius sign) natives. As per the Vedic Astrology the 1st (Here it is called as the "Rasi") house is considered as highly benefice and the 12th house is considered as malefic in nature. That is, the Shani dons the role of a Saviour and also as a foe. That is, the Shani being the Rasi Lord has to deliver goodness to the Kumbha Rasi (Aquarius sign) natives; and the Shani being the Lord of the 12th house has to bring some expenses, wastages and damages in to the life of Kumbha Rasi (Aquarius sign) natives. The Position of Shani and its strength in the Ashtavargha would play a crucial role in deciding the quantum of benefits or damages that the Shani can deliver into the life of Kumbha Rasi (Aquarius sign) natives. Though the Shani is weak by getting placed in its fierce opponent Mars's house for another 2 1/2 years, the Viruchika Rasi is the 10th house from the Kumbha Rasi. The Shani gets back its power in the Viruchika Rasi, since it is the Quadrant house (Kendra) for the Kumbha Rasi (Aquarius sign) natives. Thus the position of Shani looks more comfortable for the Kumbha Rasi (Aquarius sign) natives. The strength of the Shani can be accurately calculated through the Ashtavargha charts for every individual through their natal horoscopes. Please note that the below mentioned results could get reflected feebly in the life of the natives 6 months before the start of the Shani transit. If you find the below mentioned symptoms already in a feeble manner, you must take precautionary meaures before it goes too late. Let us analyze the possible effects of Shani's transit into Viruchika Rasi (2014 to 2017) for the Kumbha Rasi (Aquarius sign) natives. 1. The Kumbha Rasi (Aquarius sign) natives would remain energetic and active; and remain focused with their business or profession. This would happen only, if the Shani remains stronger in the Ashtavargha. The Kumbha Rasi (Aquarius sign) natives would have slower reflexes or remain dull. This would happen only, if the Shani remains weaker in the Ashtavargha. 2. The Kumbha Rasi (Aquarius sign) natives may sleep well; they maintain regularity and consistency with their basic life necessisties. This would happen only, if the Shani remains stronger in the Ashtavargha. The Kumbha Rasi (Aquarius sign) natives would experience problems with their sleep @ they may take longer time to go into the sleep mode or their sleep get interrupted in the middle or they may not enjoy a sound sleep. This would happen only, if the Shani remains weaker in the Ashtavargha. The Kumbha Rasi (Aquarius sign) natives would sleep in the odd hours or they would develop irregularity with their sleeping habits or would suffer through deficient sleep. This would happen only, if the Shani remains poorer in the Ashtavargha. Note: Those working in the odd hours also do come under this category. Too much of sleep could indicate the laziness or it could indicate the induced laziness due to the deficient/loss of work (jobs). Hence too much of sleep or laziness could come into the life, when there is no work to do. Same way, the loss of sleep could also indicate the excessive workloads. 3. The Kumbha Rasi (Aquarius sign) natives would perform well in a Group discussion or at an interviews or would bring out their best performances through their excellent presentations before an audience. This would happen only, if the Shani remains stronger in the Ashtavargha. The Kumbha Rasi (Aquarius sign) natives would face obstacles or hurdles during their discussion or interviews. Either they would fail to perform or face hurdles in bringing out their talents. This would happen only, if the Shani remains weaker in the Ashtavargha. 4. The Kumbha Rasi (Aquarius sign) natives remain satisfied with their sexual relationships despite busy with their work schedules. This would happen only, if the Shani remains stronger in the Ashtavargha. The Kumbha Rasi (Aquarius sign) natives would face obstructions or hurdles with their sexual activities. They remain dissatisfied in realizing their sexual comforts. This would happen only, if the Shani remains weaker in the Ashtavargha. 5. The Kumbha Rasi (Aquarius sign) natives would experience increased expenses especially related to their professional matters. This would happen only, if the Shani remains stronger in the Ashtavargha. The Kumbha Rasi (Aquarius sign) natives would experience manageable level of expenses. This would happen only, if the Shani remains weaker in the Ashtavargha. 6. The Kumbha Rasi (Aquarius sign) natives would remain decisive in taking decisions; they also communicate and interact well with others.This would happen only, if the Shani remains stronger in the Ashtavargha. The Kumbha Rasi (Aquarius sign) natives would remain confused and act very slow in taking decisions; they would either miscommunicate or suffer through the partial communication efforts. The Kumbha Rasi (Aquarius sign) natives would also be hamstrung by partial interaction with others. This would happen only, if the Shani remains weaker in the Ashtavargha. 7. The Kumbha Rasi (Aquarius sign) natives would enjoy their basic necessities (staying place, clothes, food and rest), if the Shani gets stronger in the Ashtavargha. 8. The Kumbha Rasi (Aquarius sign) natives would spend lot of time, money, energy and efficiency for their professional activities. 9. The Kumbha Rasi (Aquarius sign) natives would also spend (or waste) lot of money, time, energy on improving the gains from their movable and immovable assets; and also on improving their lifestyle. Some of the Kumbha Rasi (Aquarius sign) natives would face expenses or wastages through their mother. Some of the Kumbha Rasi (Aquarius sign) natives would face expenses or wastges by entertaining their guests. 10. The Kumbha Rasi (Aquarius sign) natives would spend or waste their time, money, energy and efficiency to popularize them @ they would spend or waste on the public relationship exercises. 11. The Kumbha Rasi (Aquarius sign) natives would spend lot of time and money for the love partners or life partners. 12. The Kumbha Rasi (Aquarius sign) natives would lose their vital strength from their body through the increased level of sexual activities. Note: The results are likely to change either positive direction or in the negative direction depending upon the other astrological factors that are defined in the natal charts. Moreover the effects of Mahadasa & Antardasa must also be considered to arrive at a conclusion. The Kumbha Rasi (Aquarius sign) natives will not face major troubles and remain very comfortable in their life for the next 2 1/2 years, if they pass through favourable Mahadasa or Antardasa on a concurrent basis and the Shani remains stronger in the Ashtavargha as per the native's natal horoscope. Will every Kumbha Rasi enjoy the same result during the 2 1/2 years of Shani transit periods? No, each one of the Kumbha Rasi (Aquarius sign) natives would experience different type of results during this 2 1/2 Years period. In general, the 2014 to 2017 Shani peyarchi results for the Kumbha Rasi (Aquarius sign) natives would remain favourable (at least) if not delivered an excellent results for the Kumbha Rasi (Aquarius sign) natives. How to read the Shani transit results and how to calculate the exact impacts on our life for the next 2 1/2 Years? Please note that the Mahadasa or Antardasa results play a crucial role in everybody's life. You must give utmost importance to Mahadasa effects (50%) on your life. You must give equal and but also importance to the effects of Antardasa period (30%) in your life. Thereafter you must give importance to Shani transit results (10%) in our life. The Guru transit will have an overall 5% effects on our life. Rest of the 5% will be decided by the day to day planetary position of all other 7 planets. Hence the problems with the Mahadasa results or Antardasa results or both could very well play a spoilsport in your life, even if the Shani and Guru’s transit are good and placed in a highly favourable position. Everyone who passes through unfavourable Shani or Guru transit results do not get affected, even if their Mahadasa period or Antardasa period or both remains favourable and benefice. For details on Pariharam for Shani, please visit Shani Pariharam (Remedial Measures). There are number of simple methods are advised. You can choose anyone or combination of any methods (that are available). 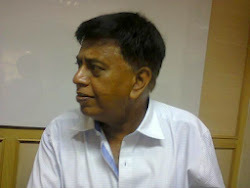 But the period of Pariharam must be longer than 9 weeks and must be done in a consitent manner to enjoy better results. We are going to find out the exact results of Shani's eclipse and Shani's retrograde effects on Kumbha Rasi (Aquarius sign) natives in our next post. HOW TO CALCULATE STRENGTH OF SHANI IN THE ASHTAVARGHA? Many important issues happen with Shani in the year 2014. First the Shani becomes Vakri (moving in a retrograde manner) from 04.03.2014 and becomes normal on 21.07.2014. The Second most important issue is that the Shani Peyarchi (Shani's transit) into Viruchika Rasi happens on 02.11.2014 at 08.34 PM. That is the Shani is going to end its stay in the Thula Rasi (Libra Sign) and moves into Viruchika Rasi (Scorpio Sign) and stays there for almost for 2 1/2 Years. The Viruchika Rasi is owned by the Mars, whom the Shani consider to be its sworn enemy. That is, the Shani is going to stay in its opponents house for the next 2 1/2 Years. Hence the incoming year 2014 is going to make dramatic changes into the life of everyone by bringing in the unexpected surprises. The Shani owns the 1st & the 12th house for the Kumbha Rasi (Aquarius Sign) natives. By owning the Kumbha Rasi by itself, the Sani is a benefice graha. But by owing the Makara Rasi, which is the 12th house for the Kumbha Rasi (Aquarius Sign) natives, the Sani becomes a malefic graha too. Hence the Shani is capable of doing both the good and the bad results for the Kumbha Rasi (Aquarius Sign) natives, despite being the Lagna Lord. Hence the placement of Shani is more important for the type of results that can be expected out of the Shani's transit for the Kumbha Rasi (Aquarius Sign) natives. The Shani is placed in the Thula Rasi (Libra Sign) in an exalted manner for the Kumbha Rasi (Aquarius Sign) natives. The Thula Rasi (Libra Sign) is the 9th house for the Kumbha Rasi (Aquarius Sign) natives. The 9th house is considered to be one of the benefice house for the Kumbha Rasi (Aquarius Sign) natives. The 9th house also becomes the "House of Collateral damages" for the Kumbha Rasi (Aquarius Sign) natives. Thus the Sani would deliver mixed results (both good and the bad) for the Kumbha Rasi (Aquarius Sign) natives. The Sani also maintain good friendship with the Venus (Lord of the Libra Sign) and the Venus also reciprocates the same level of friendship with the Shani. Thus the Sani becomes more comfortable in the Thula Rasi (Libra Sign). 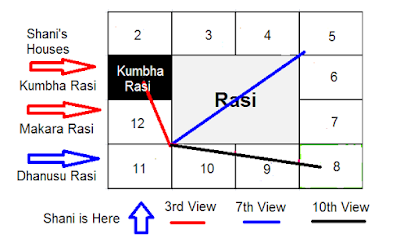 The shani moves into Viruchika Rasi (Scorpio Sign), which is the 10th house for the Kumbha Rasi (Aquarius Sign) natives on 02.11.2014. The Viruchika Rasi is owned by the Mars, who does not enjoy friendly equation with the Shani. Thus the Shani becomes weak by staying in its opponents house for the next 2 1/2 Years. We will study extensively about the Shani effects on the Kumbha Rasi (Aquarius Sign) natives in the coming weeks. Let us analyze the possible effects of having Shani in the 9th house for the Kumbha Rasi (Aquarius Sign) natives till 02.11.2014. The Kumbha Rasi (Aquarius Sign) natives would enjoy their life comfortably with their family and relatives. They would be able to control their expenses and would enjoy basic life comforts. The Kumbha Rasi (Aquarius Sign) natives enjoy both their sexual activities and also the spiritual activities in a simultaneous manner. But they would face difficulties through their decision making process. The Kumbha Rasi (Aquarius Sign) natives would continue to enjoy their comfortable position with the family members & relatives despite facing few hurdles. The Kumbha Rasi (Aquarius Sign) natives would see a increase in their expenditures. Also the Kumbha Rasi (Aquarius Sign) natives would face fluctuations in keeping their basic lifestyle comforts (like food & rest); also they face few obstacles in enjoying their sexual comforts. The Kumbha Rasi (Aquarius Sign) natives would face difficulties with their family relationships and also with relatives. The Kumbha Rasi (Aquarius Sign) natives remain uncomfortable and face pressure on their reputation. The expenditures are likely to increase sharply. The Kumbha Rasi (Aquarius Sign) natives may develop irregular lifestyle (untimely food and rest) and also face difficulties in enjoying the sexual comforts. The Kumbha Rasi (Aquarius Sign) natives would be able to solve few of the family related issues, but the relationship remains weak only. The Kumbha Rasi (Aquarius Sign) natives could contiue face pressure on their status despite few experiencing few positive changes. The Kumbha Rasi (Aquarius Sign) natives continue to be troubled by high expenses, lack of basic comforts in the life. The Kumbha Rasi (Aquarius Sign) natives would see a gradual but positive changes in their family relationships. 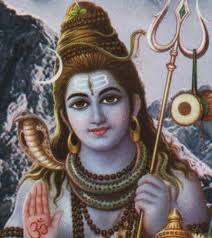 The Kumbha Rasi (Aquarius Sign) natives status remain acknowledged by their relatives and also with the society. The Kumbha Rasi (Aquarius Sign) natives would be able to bring control over their expenses and would experience positive changes in their personal life too. The Shani ends its journey within the Thula Rasi (Libra Sign) and start its maiden journey into Viruchika Rasi (Scorpio Sign) from the year 2014 from 02.11.2014 at 08.34 PM (as per the Thirukkanitha Panchangam). We will analyze the possible results of Shani's transit into the Viruchika Rasi (Scorpio Sign) for the Kumbha Rasi (Aquarius Sign) natives in the subsquent posts. 1. The Kumbha Rasi (Aquarius Sign) natives would spend on social and spiritual/religious activities. 2. The Kumbha Rasi (Aquarius Sign) natives would spend on their family requirements. 3. The Kumbha Rasi (Aquarius Sign) natives would also spend on issues that are global. 4. If the Kumbha Rasi (Aquarius Sign) natives maintain illegal or extra marital relationships, then they would face huge expenses for their sexual activities. 5. The Kumbha Rasi (Aquarius Sign) natives may develop loss of confidence within their mind. 6. The Kumbha Rasi (Aquarius Sign) natives could loose their reputation due to their wrong decisions and actions. 7. The Kumbha Rasi (Aquarius Sign) students could face distractions that affects their studies. 3. If the Kumbha Rasi (Aquarius Sign) natives gets 0 to 2 counts in the Ashtavargha, then the Kumbha Rasi (Aquarius Sign) natives would be devoid of sexual comforts and basic lifetsyle comforts. 4. If the Kumbha Rasi (Aquarius Sign) natives gets 0 to 2 counts in the Ashtavargha and if they go through 1st or 3rd house lord Mahadasa and the Mahadasa lord getting placed in the malefic houses, then their reputation level gets damaged beyond a limit. 5. If the Kumbha Rasi (Aquarius Sign) natives gets 0 to 2 counts in the Ashtavargha and if they go through 3rd, 4th, 7th, 8th and 12th house lord's Mahadasa's or the Sukra Mahadasa and the Mahadasa lord getting placed in a malefic house, then they face disastrous results in their sexual activities and sexual comforts.